Today’s efficient power converters demand less input power per watt of output, but they also demand more in terms of power supply measurements. Topologies are increasingly complex, and parasitics are everywhere, demanding careful comparison of simulations and measurements. Increasing switching frequencies make it harder to control EMI. And systems require a wide range of low-noise, fast-responding power supplies. You've come to the right place. 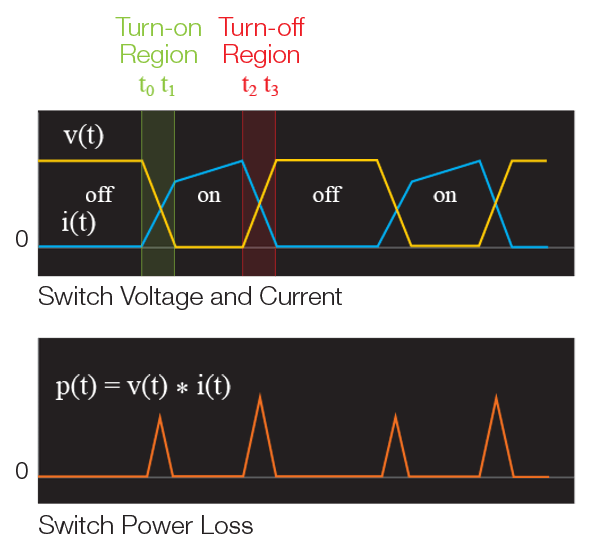 Switching loss makes up a significant percentage of the total loss in a switch mode power supply. Learn how to measure it under operating conditions. 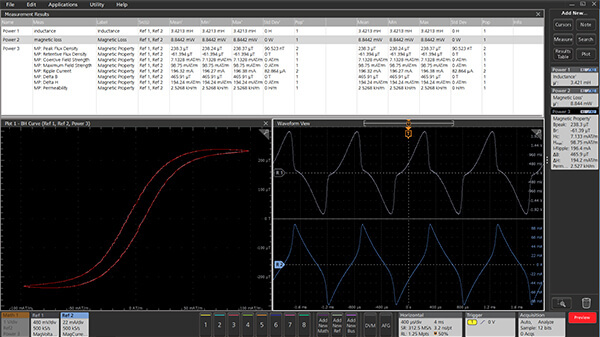 Find out about making in-circuit oscilloscope measurements on magnetic components, including inductance, loss and B-H curves. 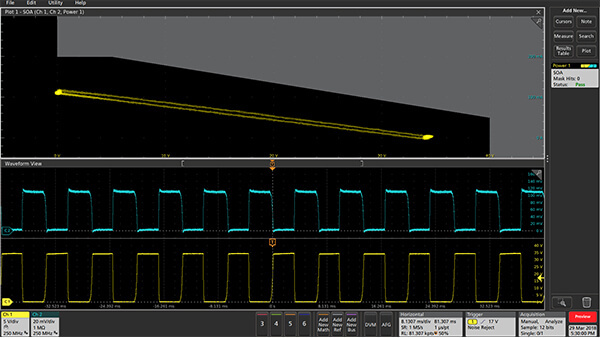 High switching speeds and common mode voltage present measurement challenges. Learn how to address them. Drain-to-source voltage and current measured against SOA mask. Use measurements to confirm that FETs, IGBTs, or BJTs are operating within the safe operating area specified in their datasheets.